Brilliant view. World-class performance.Let your work come to life in precise color detail, with sharp QHD resolution and extensive connectivity options for outstanding usability. Award-winning performance: Since each monitor is tuned at 99% sRGB, the colors look amazing right out of the box. 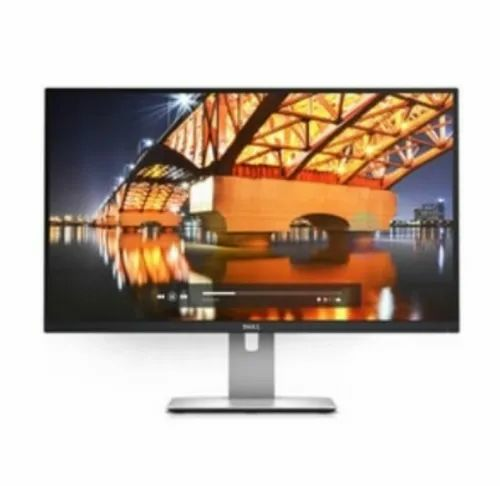 The ultra-wide viewing angle on this 27” display lets you admire the QHD resolution at virtually any angle without losing those gorgeous colors. More ways to connect:Charge, connect and project handheld devices and more with extensive ports. Reliable and eco-efficient: Count on the Dell™ Premium Panel Guarantee, 3 years Advanced Exchange Service and an environmentally conscious design. Your Dell UltraSharp 27 Monitor – U2715H is designed to be pixel perfect. That’s why if you find even just one bright pixel, we’ll replace it under our Premium Panel Guarantee3.